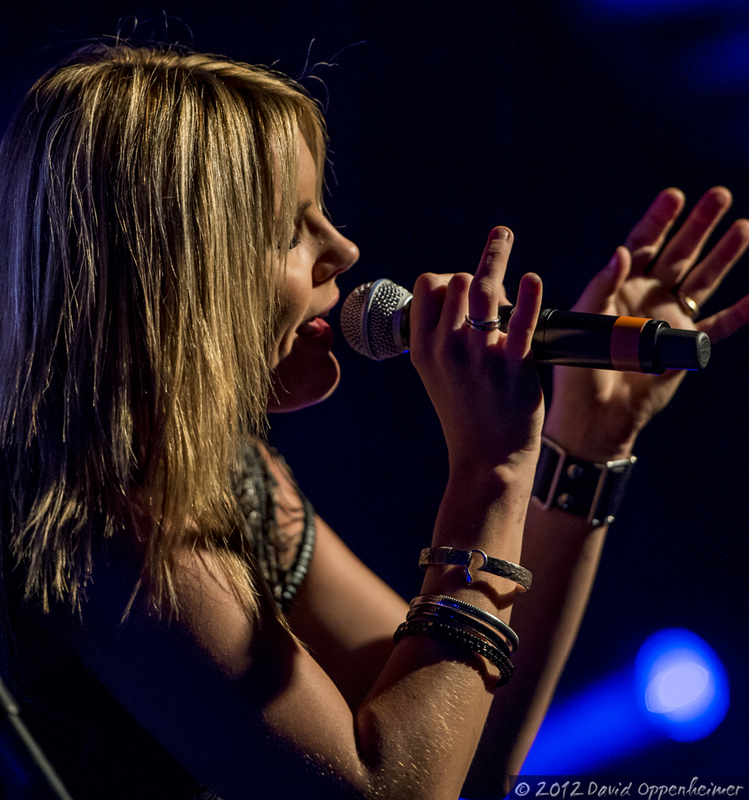 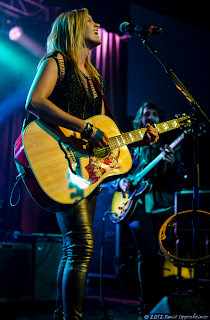 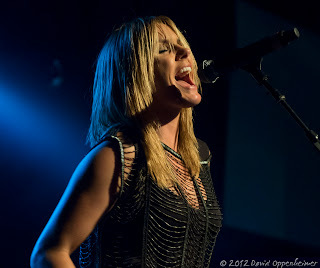 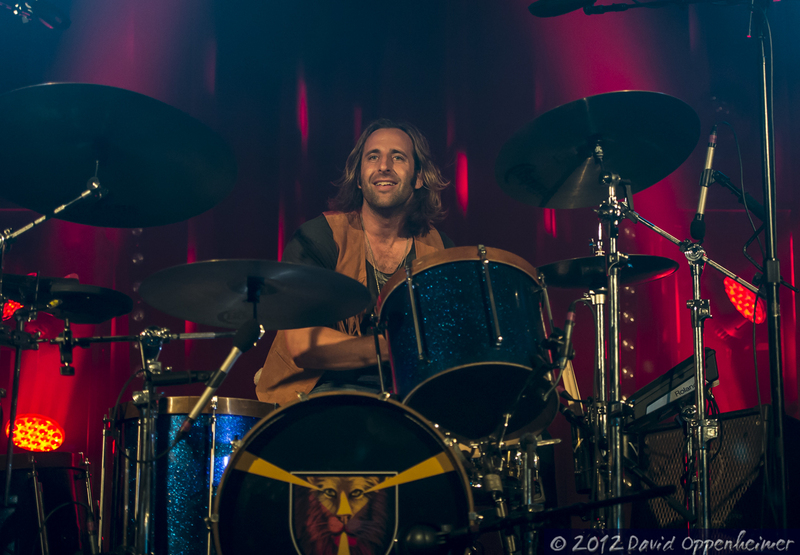 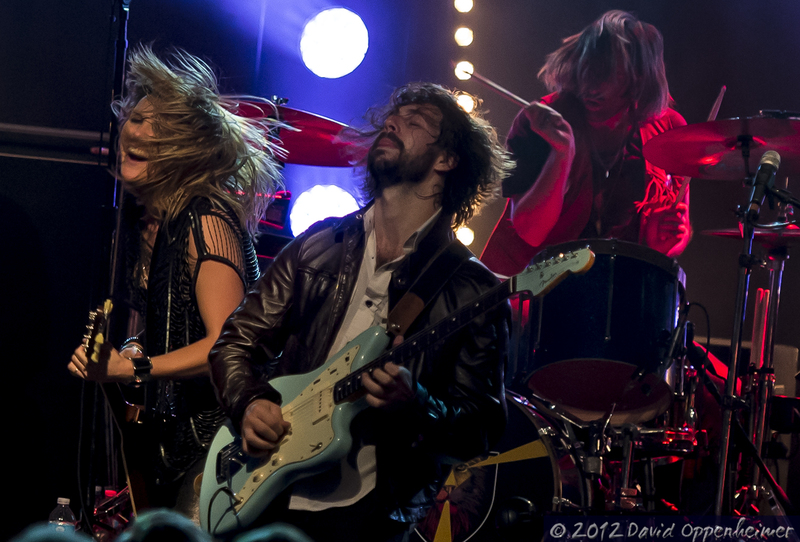 Vermont band Grace Potter and the Nocturnals played Asheville’s Orange Peel on October 4th. 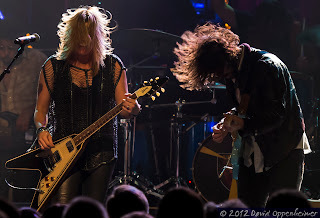 They are known for their fiery live shows and their eclectic sound recalling 70’s classic rock. 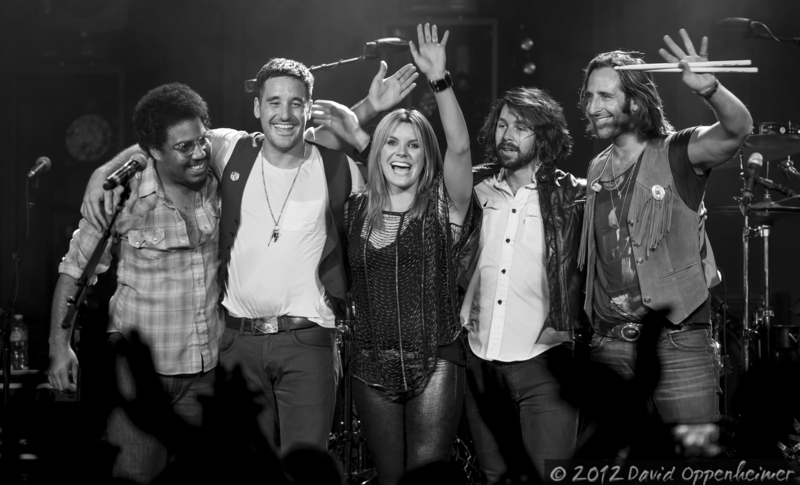 The five piece band with songstress Grace Potter at the helm has been touring consistently since their inception almost 10 years ago. They have released four full length albums, a Christmas EP, and a live album. 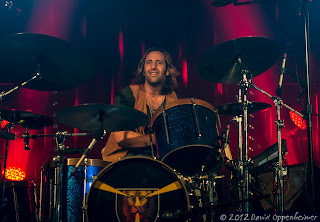 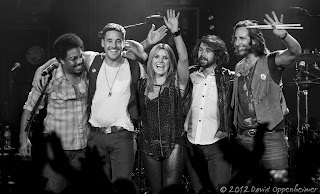 The band has gone through some lineup changes in the last few years and is currently comprised of Scott Tournet and Benny Yurco on guitars, Michael Libramento on bass, Matt Burr on drums, and Grace Potter on vocals. 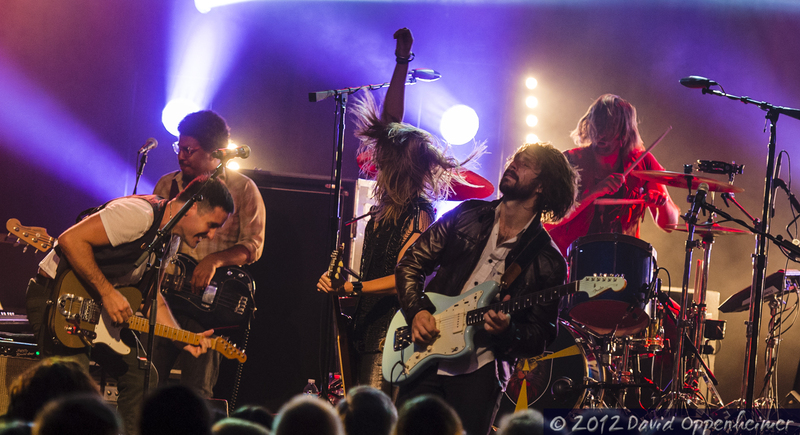 Their rootsy sound is influenced by a variety of genres, from Southern rock to blues, gospel, and funk. She is compared to other bluesy rockers like Bonnie Raitt and Susan Tedeschi. Potter’s voice was exquisite and grainy and during her performance while alternating between guitars and her two keyboards. 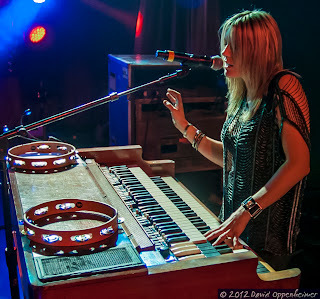 Earlier in the day, Grace worked in the basement of the club applying wood stain to one of organs which barely dried and was still tacky by showtime. 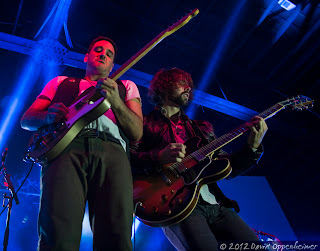 Poised to continue to tour incessantly and put out great albums the band has shown to have both talent and staying power. 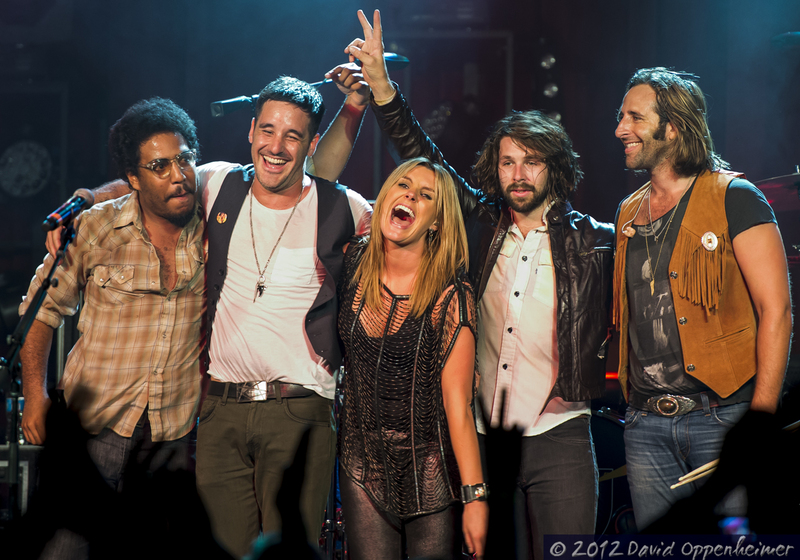 They have recorded with Kenny Chesney, written songs for shows like “One Tree Hill” and even appeared on VH1’s Divas and Storytellers episodes. 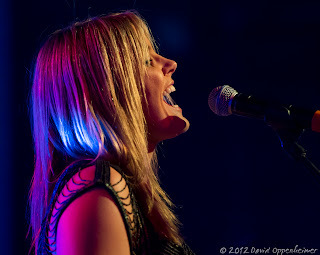 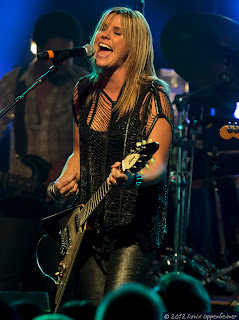 Grace Potter and the Nocturnals will be on tour through the rest of the year and into 2013. 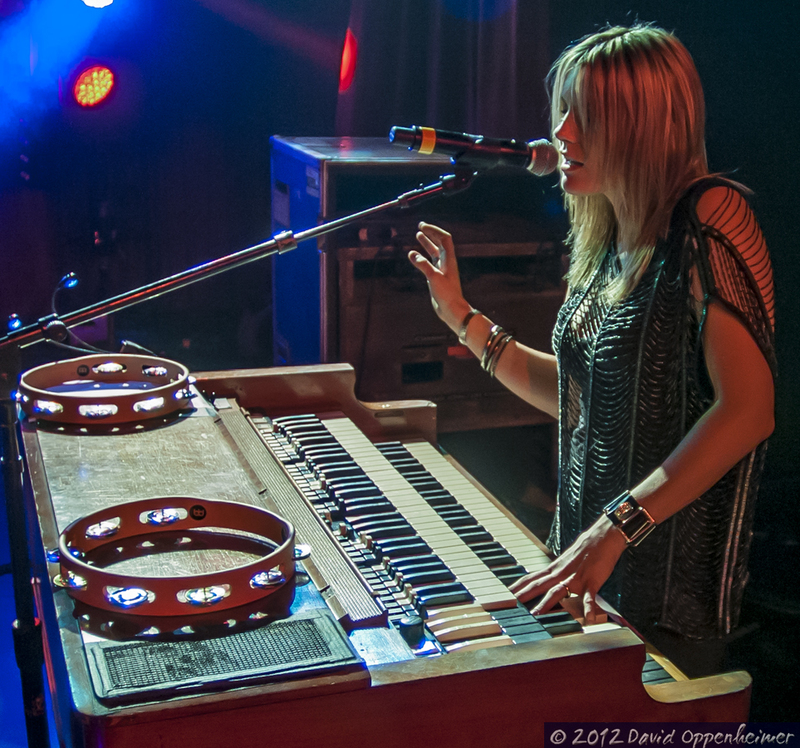 11/08/12 Austin, TX Stubb's Bar-B-Q / Waller Creek Amph. 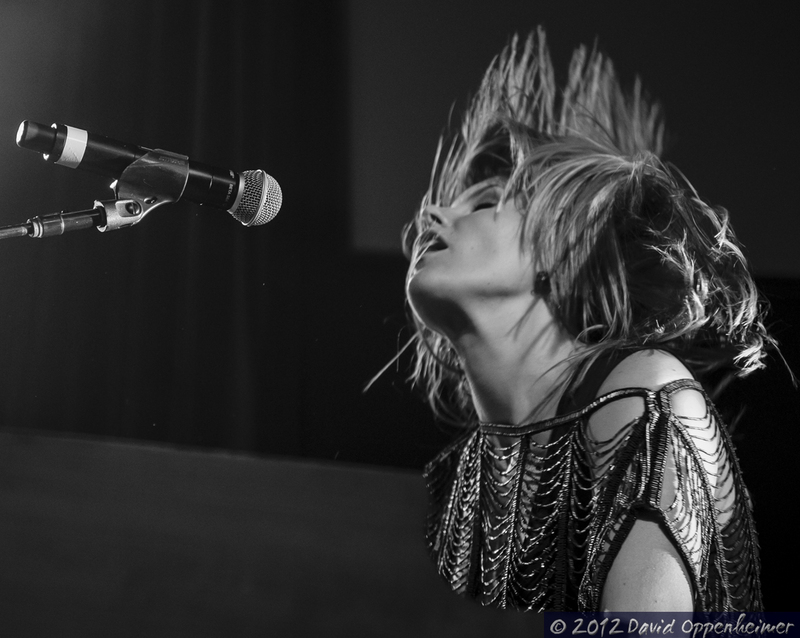 11/09/12 Austin, TX Stubb's Bar-B-Q / Waller Creek Amph. Nice Job Y'all !!! 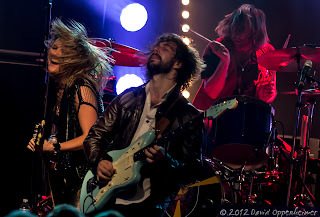 Great show ..